Naturally, everyone’s day may shape up differently. But, by and large, all our days are relatively regimented. There is not much room for uncertainty or red herrings in recovery. Such occurrences can throw one’s recovery out of balance. Nevertheless, none of us runs the show, we cannot predict or plan for certain events that could arise. We are not omnipotent or all powerful, simply put: We are not God. However, that doesn't mean that we can’t do things to prepare ourselves for the eventuality of life’s curve balls. When all is said, and done, life is finite. As are the things that make up one’s life. Relationships end, family member pass on. Jobs are found. Jobs are lost. Over the course of all of life’s eventualities, people in recovery MUST do what they can to mitigate the risk of relapse. Remain strong in the face of great adversity. In the wake Hurricane Harvey, we shared with you ways people affected by the torrential flooding could find both strength and support. How to get traumatic events from derailing one’s addiction recovery. At Hope by The Sea, we pray that everyone working a program in Houston and beyond managed to not let their stress lead to self-defeating decisions. Choices that lead to relapse. If you managed to weather the storm and flooding, recovery intact, you have much to be proud of and your program is stronger because of it. Now, just over a week later millions of Floridians are preparing for the worst. As one of the most powerful Hurricanes ever recorded is trudging at 16 mph towards the Florida peninsula, ABC News reports. Over a million people have been ordered to evacuate, failure to do so can result in tragedy. 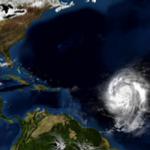 We have all seen the video and pictures of the damage done thus far in the Caribbean, standing one’s ground could prove fatal for people in the hurricanes target zone. It goes without saying that many of you in the potentially affected areas who have been ordered to leave your home are in recovery. Finding yourself displaced, heading for safe havens in Florida and beyond. Safety is absolutely vital, after that your recovery must continue to be at the top of your priority list. Those of you who will be in unknown areas during Hurricane Irma should already be making plans for how you will keep your recovery intact. Which means having a list of meetings you can attend in any given area. You can find up to date lists of meetings at Alcoholics Anonymous and Narcotics Anonymous. In times of disaster your program will prove to be vital. 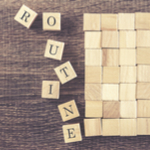 While your routine is going to be disrupted regardless of what you have to say about it, you can still make moves to have a semblance of your normal daily movements, i.e. going to meetings, sharing and talking to newcomers. It is in the darkest of hours that the fellowship must shine the brightest. All of us at Hope by The Sea have the people living in the affected areas in our thoughts and prayers. Please remember the skills you have learned and tools you have for when crisis arises in one’s recovery. This storm is likely to be catastrophic, using drugs and alcohol to cope will only make matters worse. We are here for you, if you need our assistance.